The good news: summer is back! Most people look forward to unwinding at the beach or the poolside during this season. Backyard parties and gatherings make weekends extra-special and out-of-town trips are frequent. The bad news: summer isn't fun for the skin. And it takes diligence and effort to prevent acne breakouts from happening. With the heat becoming harsh, sweating is imminent and your face gets oilier the longer you stay in the sun. The residues pool chemicals and seawater leave on the skin won't help either. It's going to be hard looking forward to a fun summer, when you have acne breakouts to deal with. While acne may be treated, the best course of action to take especially when you have a couple of months of fun to look forward to, is to do preventive measures. 1) Resist the urge of being out in the sun too long. Summer is best spent outdoors and we all know that. But ultraviolet light exposure from the sun can be extremely damaging to the skin, says the American Academy of Dermatology, which means you've got more than just acne to worry about. Schedule your activities around the time when the sun is less intense. An early morning dip in the water is best, and night swimming has lots of potential for fun, as well. During the middle of the day, spend your summer activities indoors with the fan or the air conditioning on. Backyard parties could benefit from setting up tents or drawing shades to keep the sun's heat off. This way, you also sweat less. Sweating leads to the production of excess oil, which can then result to the clogging of your skin's pores and producing acne breakouts. Since summer’s heat makes you sweat a lot, it’s easy for the body to lose all that hydration. Drinking plenty of water will keep the skin moisturized and help with dryness that can trigger acne breakouts. You attract more dirt and dust during summers because of the sweat. Taking frequent baths should prevent bacteria from filling your pores. And if necessary, pack a water face spray with you, for help with constant moisture. If this is too expensive, you can use tap water and rinse your face and neck anytime it starts to get sticky. There’s no need to use any facial wash or soap when you do this, as the point is to do away with less irritants and prevent dryness. Make sure to towel off well. Eat food that are rich in essential fatty acids to benefit from its natural hydrating properties. Summer weekends may be filled with beer-drinking sessions, too, which you can still do. But drink in moderation. Alcohol has diuretic properties, which means it can dehydrate the body. 3) Exfoliate and maintain proper skin care. 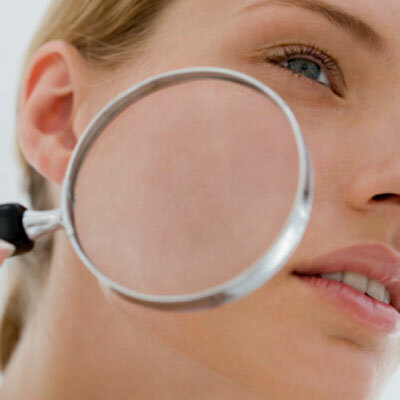 Acne develops because of the accumulation of dead skin cells, which is actually a combination of oil, dirt, dust and other free radicals in the body. Exfoliating at least three times a week will prevent the build up that could start any eruptions. Don't forget to use moisturizing creams after each major cleansing and exfoliation, to keep if from drying up. About the Author: Prevention is better than cure, says an old adage. At http://getridofacnescarsmethods.com, you will find more preventive tips in relation to acne scars treatment and acne scars prevention. Visit the site for more information.